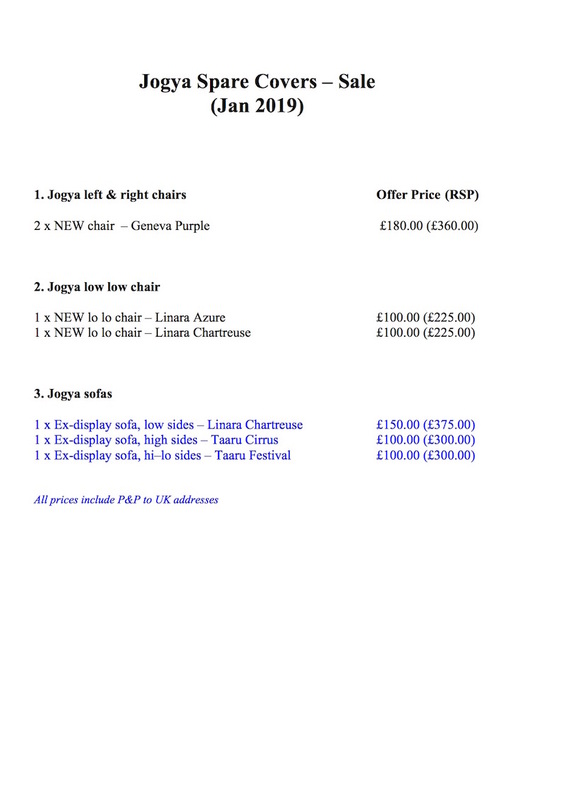 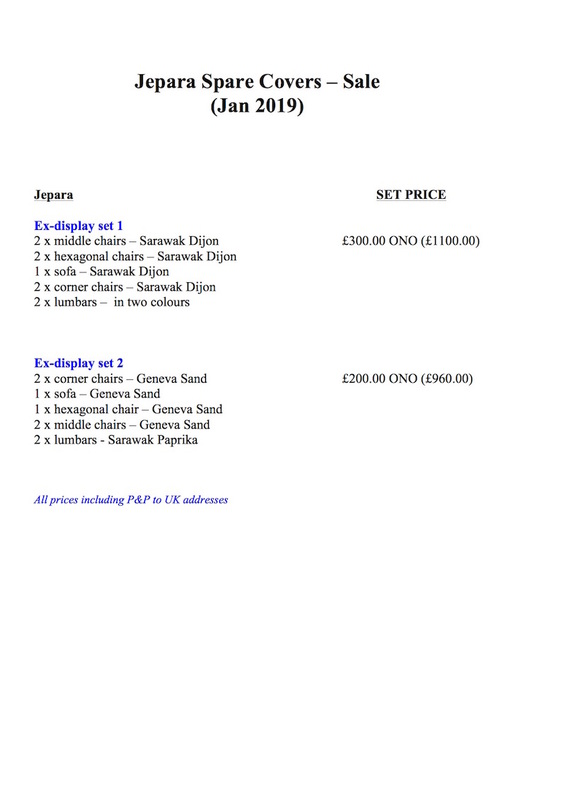 Here is a list of spare covers which are available at bargain prices for the Jogya chairs and sofas. 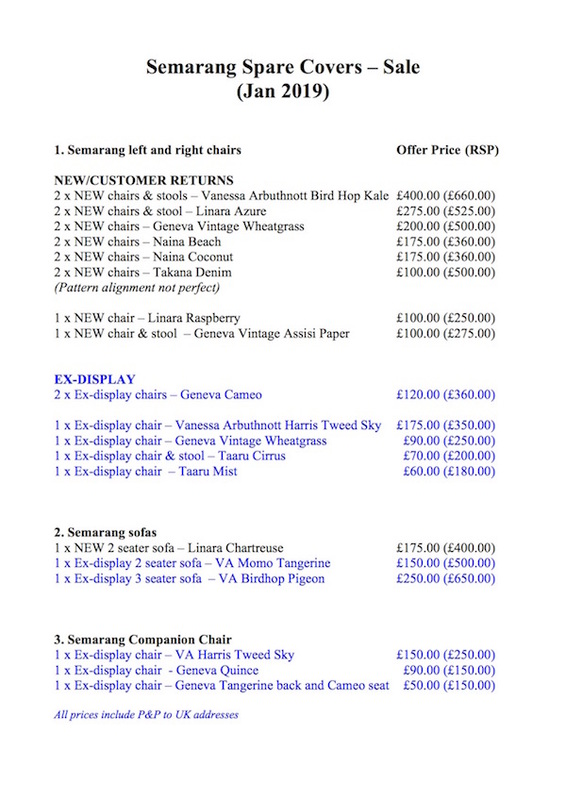 Some are customer returns, some were produced in error, and others are ex-display. 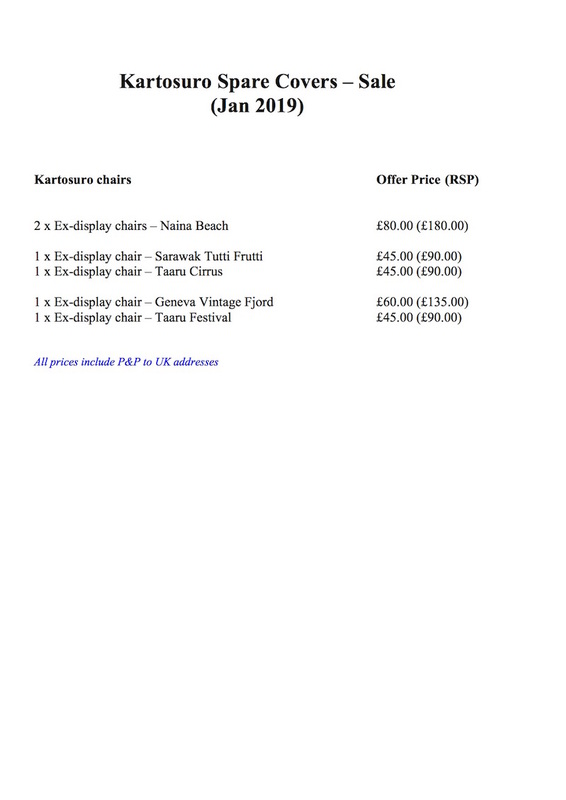 Photographs and swatches can be provided if you want to see the actual colour. 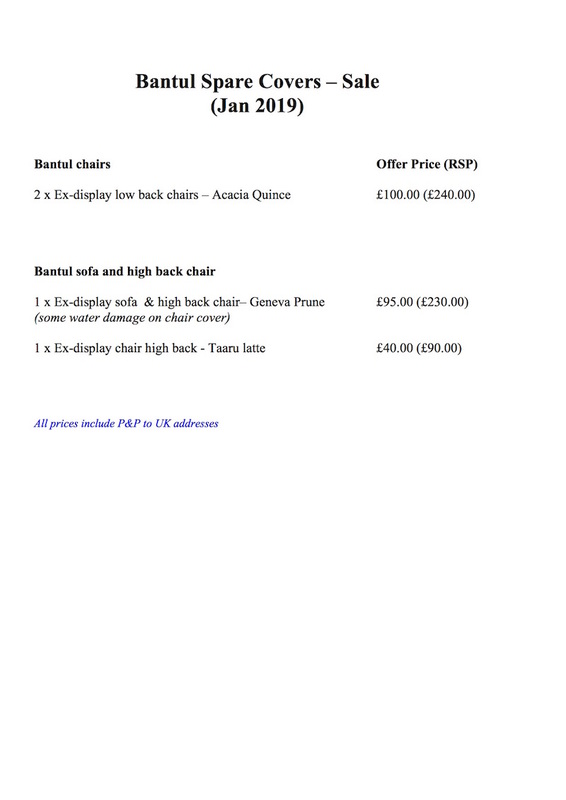 Call 01722 340881 or email hello@fairtradefurniture.co.uk to place an order, or to make an enquiry.